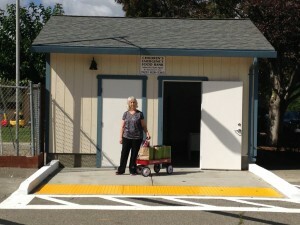 The Children’s Emergency Food Bank is a local non-profit organization serving Danville, Dublin, Pleasanton and San Ramon. The Food Bank provides food for families in emergency situations, rather than ongoing support. As we have no paid staff, almost all of our resources go to the purchase and distribution of food. Our expenses consist of an answering service, telephone service, postage and minimal miscellaneous expenses. The Food Bank is an all-volunteer organization that operates on JKPC property. Our objective is to furnish canned and packaged food plus certificates from local markets to obtain fresh foods. We try to give each family, based on their need and family size, enough food for a week. We also have a Christmas giveaway which includes turkeys and hams. Appointments are made with volunteers, Monday through Friday, 9 a.m. to 4 p.m., who then meet with the recipients at our Food Storage Building. To make an appointment, please call the Food Bank answering service at (925) 828-5363. 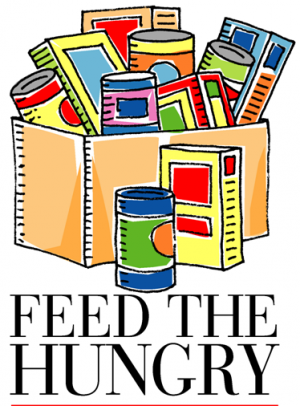 Donations of non-perishable food and money to purchase food, as needed, are always welcome. We receive no assistance from Alameda or Contra Costa Food Banks. If you have any questions, need help or would like to help out, please call our answering service at (925) 828-5363 or write us at Children’s Emergency Food Bank, 7421 Amarillo Road, Dublin, CA 94568.